A few weeks ago Collection 2000 or better know as Collection had a party to celebrate their 25th anniversary. I was super delighted to have won a pair of tickets to their party in London but unfortunately it was an 18+ event but that disappointment didn't stay for too long as anyone who had won under the age of 18+ were to be sent a free LIMITED EDITION eyeshadow palette. It arrived today and it really is so beautiful. I've got quite sensitive skin so I don't really wear makeup just the basic mascara and eyeliner but If I'm going to a special event I'll use different types of makeup. 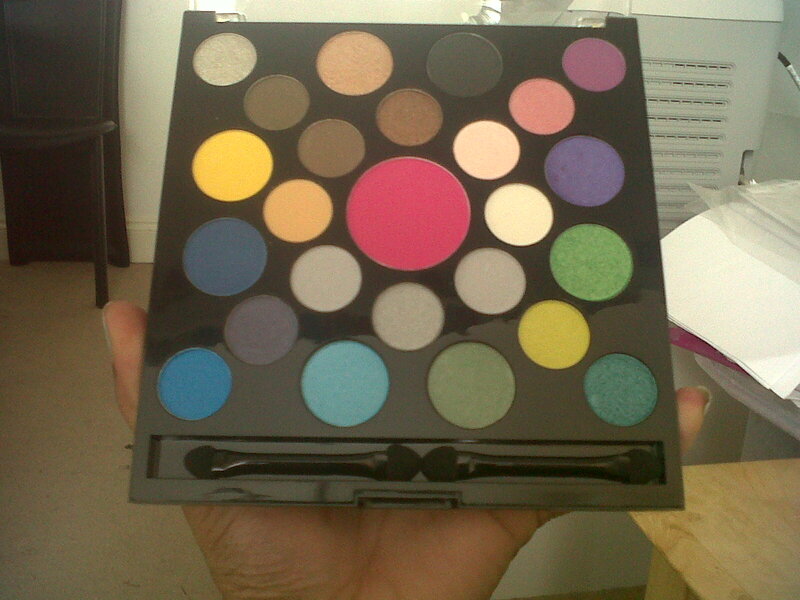 I really love eyeshadow and experimenting with the different colours. I've also had glittery eyeshadow on my wishlist for quite sometime now and I'm super pleased that I've got some in this palette. I'm off to a BBQ on Wednesday so I'm very excited to try this out for the first time, I'm not sure which colour(s) to go for though? I've also wanted to go for the smokey eyes look but never tried so maybe I'll try it out. You should all check out the Collection range in most stores, I recently made a trip to Superdrug and the Collection section just lights up the whole of the store. 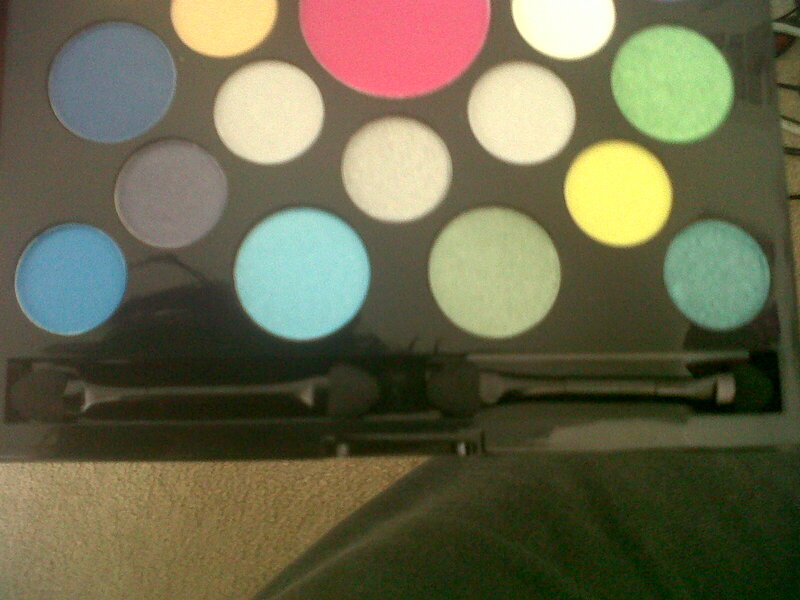 Not sure if you can see it properly but here's a little picture of the two eyeshadow brushes. To be fair I don't really use the brushes I find it easier just using my hand because I feel you can really blend it in. Does anyone else do that or is it just me? Have you made any makeup purchases recently?